It's a speedy trivia challenge - the more questions you answer against the clock the more you score! 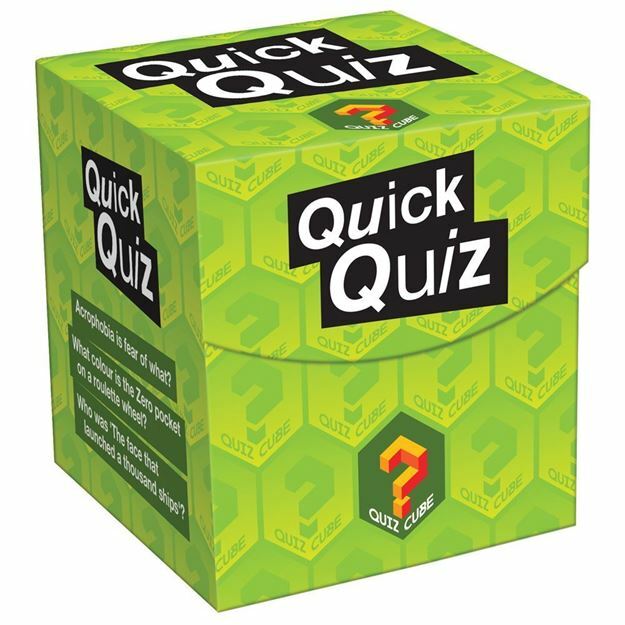 Who's the quickest quizzer you know? 360 quick-fire trivia questions on all your favourite subjects. Acrophobia is the fear of what? What colour is the Zero pocket on a roulette wheel? Who was 'The face that launched a thousand ships'? Age 14 + years. 3+ Players or teams. Distributed in New Zealand by Holdson.